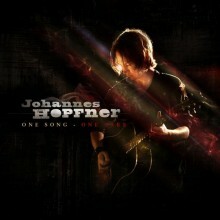 © 2009 Johannes Hopfner (SACEM). All rights reserved. Where do you go in hopeless dreams? You know it’s all over baby, can I meet you today? You know it’s all over baby, can we dance together? 1, 2, 3,4,5,6 the bell is ringing, is it you? Where should we go? In this crystal ship? You and me it’s forever! Time to leave oh oh never! In the daybreak, won’t you be my friend? Crystal stranger, won’t you be my friend? In the darkness, won’t you be my friend? Taking my hand, won’t you be my friend? I shiver in the night, where can I go now? Where can I find love, in the mirror of dawn? Where can I find peace in the misery of my path? I open; open my eyes can God rescue me?